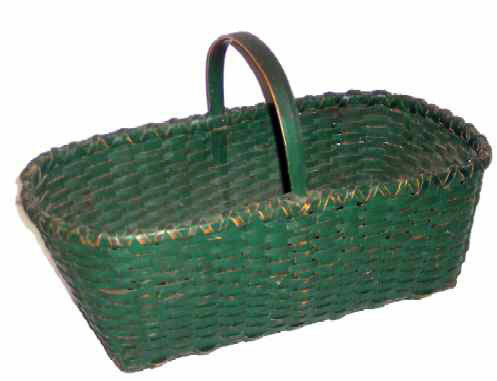 Presented here, a wonderful 19th C. Splint Market Basket in Green Paint. Double wrapped rim and carved, notched handle that goes almost to the bottom of the basket making it very sturdy. Condition is high outstanding as is the surface. Minor wear to the paint due to age and intended usage mostly on the bottom and on the rim. Size is 19" long x 10" wide and 11-1/2" tall, including the handle.